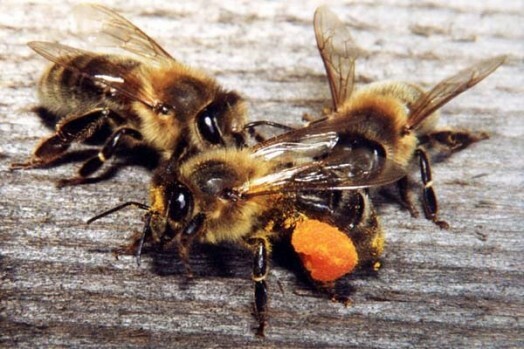 Italian, as well as the Krajina and Caucasian bees, are more immune to European foulbrood than American black bees. Italian bees can live with wax moth larvae in their hives, but it can not be said about the American black bees. Italian bees clean the hive from wax moth. The young Italian bees quickly destroy moth. 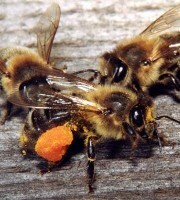 Weak black bees or Dutch bees can not cope with moth. The group of bees in the Middle East are the bees of Cyprus, Syrian bees of Syria and northern Israel and the Palestinian bees of Israel. These three types of bees are very similar to Italian bees by color, but are very different by other properties, especially behavior. Middle East bees were imported to America by D. Jones (Ontario, Canada) and Frank Benton in 1882. D. Jones and F. Benton studied these bees and decided to import them into the United States. Later, D. Jones sent a large number of queens in all areas of the U.S. and Canada. Cyprian bees differ from Italian bees, they are smaller. Probably, Syrian, Palestinian and Italian bees came from Cyprus bees. 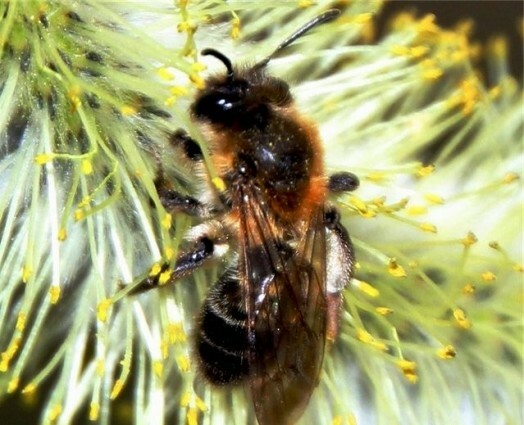 For centuries, the bees bred in pure form (without the participation of other species) on the island of Cyprus. 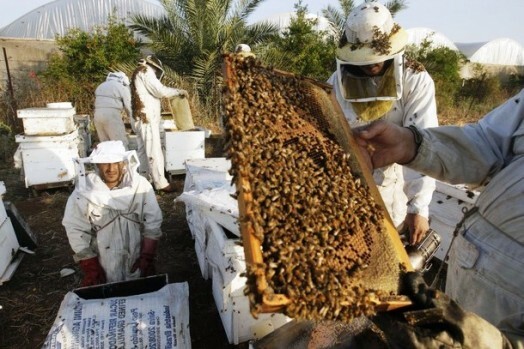 But as the Cyprus bees are hard-working and beautiful, they were brought to Italy, Syria, Palestine, where they were crossed with the black bees of the north. With the exception of giant bees of India and Egyptian bees, Cyprus bee are the most evil. This property probably stopped the import of Cyprus bees not only into the United States but also in Europe. Despite the little honey collection in Cyprus, the bees work very vigorously. Experimental analysis showed that they provide a great honey harvest in the U.S.
Syrian bees are divided into two groups, which are externally indistinguishable. The first group is very evil bees, and another – gentle bees. 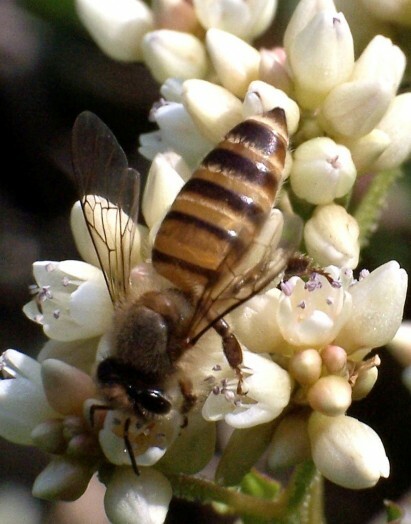 Syrian bees, found in Syria and Lebanon, are similar to Italian and Cyprus bees. Syrian bees are very prolific, they work well. The peculiarity of their color is pale bands on the first three segments of the abdomen. Yellow fluff covers chest and the base of the wings. Crescent is clearly visible. Some darker color is due to the influence of bees entering into Syria through the mountains. Like Cyprian bees, Syrian bees are nervous, but less evil, if you work with them – use a large amount of smoke. Palestinian bees are probably the kind of Egyptian bees. Palestinian bees are very similar to the Syrian bees. The former are more nervous and almost as much evil as Cypriot bees. The first three segments of the abdomen are lemon yellow with black edging. Fluffy gray rings cause the young bees to seem lighter. Crescent at the base of the chest is smoky-gray. Palestinian bees are small, their queen is very long and have good egg production. Bees of East, especially Palestine bees lay much more queen cells, than other types of bees. Their queens have large size and strength. Young queen can fly from the beehive 23 minutes after leaving the cell. One of the bad properties of the eastern bees is that they tend to turn into laying worker bees. 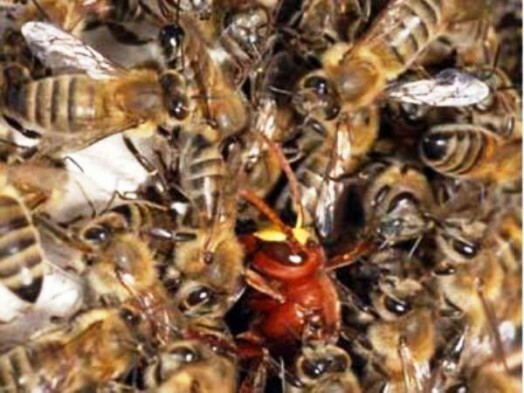 As soon as the Palestinian and Egyptian bees remain without a queen, laying worker bees appear. 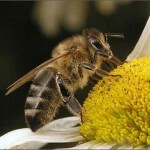 All the Eastern bees are evil, that makes them unsuitable for industrial beekeeping, especially in the northern states. Albinos and Italian bees with 5 stripes. The most characteristic feature of these bees is hairy rings of light gray or almost white color (hence the name Albino). Apparently, albinos descended from Palestinian bees, though by careful selection albinos can also be obtained from the usual Italian bees. 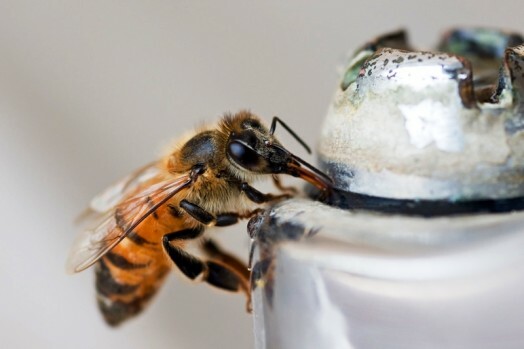 These bees do not play a significant role in the industrial beekeeping. Egyptian bees have a light color with yellow stripes. They are easily distinguished from other species of bees by white hairs, covering the entire body. White pubescence remains after crossing Egyptian bees with other bees. Color of Egyptian queens is mainly reddish-brown. In addition, the Egyptian queen is significantly less than the European one. Egyptian honey bee (Apis fasciata Latr.) is considered the best bee for beekeeping in the hive. Therefore, the Egyptian drones are mated with the Krajina and Caucasian queens, and vice versa. 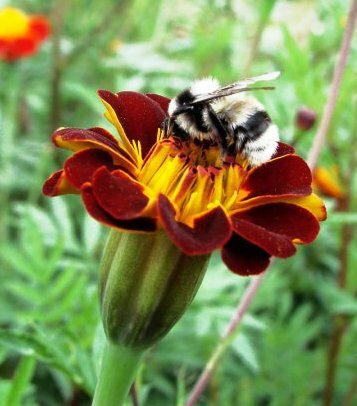 First-generation hybrids are very productive bees both in the United Arab Republic, and in countries with cold climates. Although Egyptian bees are less than the European bees, they willingly take and adjust the standard honeycomb cells. Bees on these honeycombs work better than on the natural combs in traditional clay pipe hives. Egyptian queens are very fertile and suitable for the formation of nucleus, especially when pairing with gray drones (Krajina or Caucasian). Egyptian bees as if created for raising queens. Each of these queens is equal to the queen of the larvae of Egyptian queens mated with Krajina or Caucasian drones. 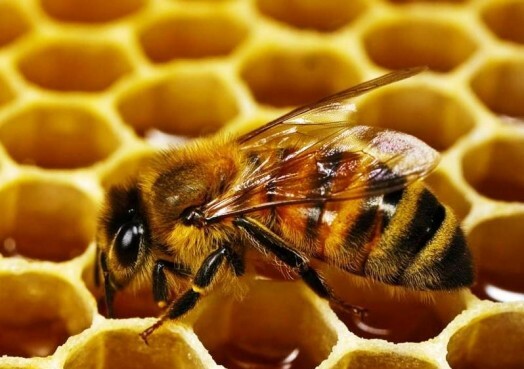 In spite of smaller families, purebred Egyptian bees provide quite high amount of centrifugal honey, they are not suitable for sectional honey. Egyptian bees tend to swarm when they are kept in the ancient mud hives. 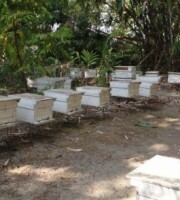 Unfortunately, most beekeepers UAR use these hives. If Egyptian bees are kept in modern hives, if you use breeding selection and care, swarming is greatly reduced. 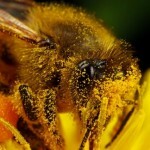 The care and selection also influence on the temperament of bees. Families, who are preparing to swarm, lay a lot of queen cells. Bees may have hundreds of barren queens with the weight of swarm 400 g. You cannot check the presence of queen and food reserves in the nest. Some bees are extremely annoying if the beekeeper uses smoke, they are not always able to subdue by spraying with water. 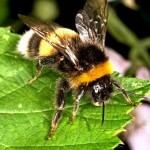 Carbolic acid and other repellents usually irritate the bees. Thus, the Egyptian bees are successfully used for mating with gray bees. If they are crossed with yellow bees, you can get very irritable and even evil offspring. Bee species in India. 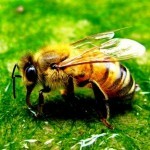 In Punjab, there are 3 types of honey bees, which have adapted to adverse climatic conditions. Indian bee (Apis indica F.) lives in a hilly area. Dwarf honeybee (Apis florea F.) lives on the plains, where the temperature rises to 49 С (120 F). Giant or rocky bee (Apis dorsata F.) lives in the foothills and low hills. Family of giant bees rebuilds one huge comb on the wall of a rock, or on the branches of a large tree (Ficus bengalensis, Ficus religiosa, mango). Sometimes bees hung the comb to the buildings. One tree can lodge 50 and more families. So there is a natural air apiary. Cell dimensions are impressive: thickness is 150-180 cm (6′), height – 60 cm (2′) or more. 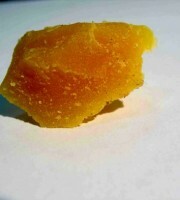 The thickness of the cell in the brood part is 3.6 cm (1,5”), thickness of the cell in honey part is 10 cm (3”). Worker bees are of the same size as the queen of Italian bees (length 16-18 mm (0.6”), 1 kg includes about 7000 bees). It is noteworthy that cell of the worker bees and drones are the same. Giant bees are very hardworking. They start to work early in the morning and finish later than the Indian bees. From one family you can sometimes get up to 36 kg of honey. Bees are very evil. Their stings are very painful and in some cases lead to death. Irritated bees stalk their prey from a distance. They are reluctant to leave the victim, even if it jumps into the water. Some individuals are able to handle the giant bees, and the body of these people, apparently, is not so swollen from the stings. Families migrate from one place to another and during the flight they produce a characteristic loud. Attempts to keep the giant bees in hives have not been successful. Dwarf bee is much less than Indian bee. Families build single cell usually in the bushes, on fences, on the branches of trees, under the eaves of houses, in chimneys, in folded cotton stalks, in the empty boxes and in other places. Cell area is slightly higher than the palm area of the hand or equal to it. Dwarf bee is so peaceful, that sometimes they are referred to stingless bees. These bees can not live indoors, so they build honeycombs mostly on high, well-lit areas. 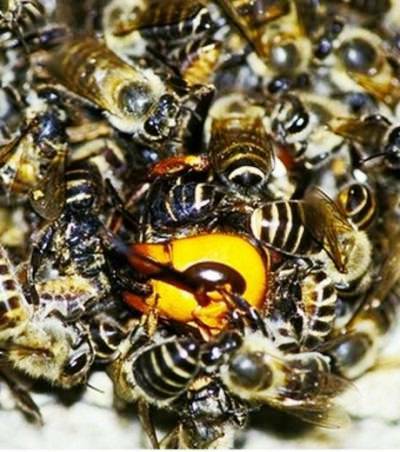 Dwarf bees have a greater tendency to swarm and flights. 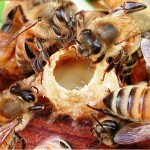 Families gather very little honey, their single cell contains about 450 grams of honey. Honey is liquid, but has healing properties. Indian bees usually settle in the hollows of trees, often peasants leave indentations in the walls of their homes, so the bees build their honeycombs there. Swarms of bees settle in specially prepared nest boxes and clay hives. Body size of worker bees and brood cells depends on the altitude above sea level. In the valley of Kullu there is 2.1 cell per linear centimeter, and in the valley of Kandra – 2.2 cells. Bees, found in the lowland areas of India, build 2.4 cells per linear inch. According to some observations, with an increase above sea level the size of worker brood cell increases, families become more numerous and collect more honey. However, these observations need to be scientifically proven. Indian bees are peaceful, do not run on the honeycomb, are easily soothed by using smoke, and often they can be inspected without smoke. Bees are quite swarming (one family can give up to 7 swarms). 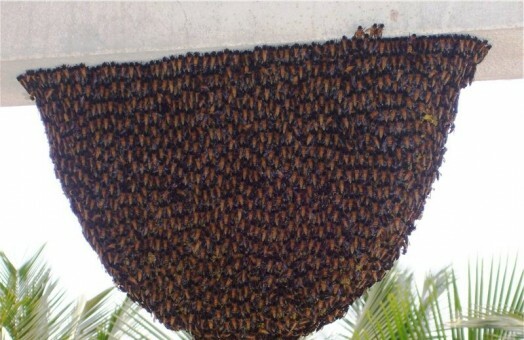 In some cases, a reason of swarming is the small size of local hives. Laying worker bees appear shortly after the loss of the queen. Families cannot protect themselves against wax moth. Indian bees do not work so well, as a giant Indian bees or Italian bees. Average honey yield is 3.64-5 kg from one family. In 1936, the state apiary in Nagrot, which uses the hives of Langstroth, got 14, 5 kg of honey from one family. Flights and gatherings are common for Indian bees. Theft is also very common, which is particularly enhanced when the family of giant bees begin to rob the family of Indian bees. Flights are common to all three types of bees in India. Giant bees like to migrate to a new location under the influence of changing weather conditions, due to wax moth, or lack of harvest. Giant bees fly to Nagrot area (900 m above sea level) and the valley of Kangre in late March and early April, and fly back before the rains in mid-June. 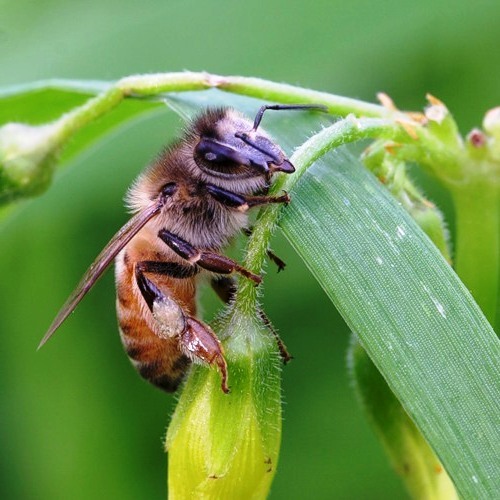 Families of dwarf bees change their location twice a year, depending on weather conditions. But they do not fly long distances, like giant bees. Indian bees particularly like gatherings. Often you can see in the air entire families of Indian bees. Sometimes the causes of the gathering are fasting, wax moth, ant attack, excessive heat, disappearance of queens, appearance of laying worker bees. However, in some cases, the bees fly off without apparent reason. A family with fetal queens and brood of all ages can leave their hives to join another swarm, flying by. In 1880 and 1905 Benton has made unsuccessful attempts to bring the giant bees in Europe and America. Data finally managed to do it in 1883, however, the bees clearly preferred to live in the open air and attached their one cell to a high branch of the tree. Chinese and Japanese bee species are considered to be kinds of Indian bees. 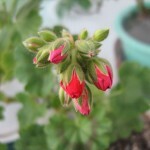 However, the Chinese are different from Japanese bees. Despite the positive properties of both species of bees, both Chinese and Japanese people prefer to keep European bees, primarily Italian ones. Honeybees of south-eastern China are the largest species of Eastern honeybee (Apis indica var. Peroni). Their average length of the body is 11.67 mm (0.3”) and wingspan is 20.82 mm (0.7”). Worker bee without pollen weighs 0.06008 g, the average length of the proboscis (tnentum and glossa) is 4,74 mm (0.2”). Bees of this size are promising for industrial beekeeping. Worker bees have dark color, but the front part of the first 2 or 4 abdominal segments is brownish-yellow. As the queen, and the drones are black. Drones rear legs are forked. The thickness of the cell with the working cells is 2.2 cm (0.9′), 1 square cm covers 4.952 cells (Cantonese bees – 5.282 cells). Drone cells differ from worker bees cells, they are much more tall and have conical caps with small holes that can be opened inside the cells. Chinese bees are very hardworking))) They fly even in cold weather. The Italian bees do not work at such temperatures. Chinese bees produce a lot of wax. 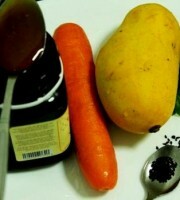 They have beautiful white seal of honey. Bees collect nectar hard during low harvest they economize on their holdings and better resists predatory wasps, than Italian bees. However, Chinese bee form small families, often swarm, usually fly off with a lack of food, are nervous. It is more difficult to calm them with the smoke than the Italian bees. Chinese bees gnaw holes in the honeycomb and cannot resist attacks of wax moths. The average production of good families in the hives of old type is about 67 kg of honey per year. 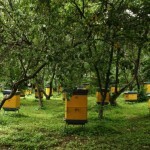 Using modern methods of beekeeping, you can get 23-27 kg of honey. 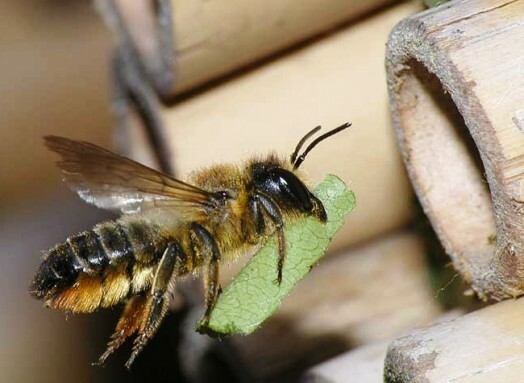 Chinese bees are terrible thieves. In winter, they rob the Italian bees, but in the summer they are robbed by the Italian bee. If the Italian bees appear in the neighborhood, the local bees disappear. I and also my pals were actually examining the great thoughts found on your website and so the sudden I had an awful feeling I had not expressed respect to the web site owner for those techniques. All the people are actually so excited to read through them and have now extremely been loving those things. Thanks for actually being very accommodating and also for deciding upon certain amazing resources most people are really needing to be aware of. My personal honest apologies for not saying thanks to you earlier. First of all thank you alot,it is amazing information and useful. Because your style in writing and your category of information is interesting,I feel willing to more explanation about somethings.For instance, I still need to knowe somethings aboute giant bees, wax combs volume of wax comb.